I love using holistic horse care! Using the holistic products and modalities have been a huge part of my horse’s staying happy and healthy. Even though I’m a huge fan of using holistic care I will use conventional allopathic methods when absolutely necessary. I’ve had a lot of great success using holistic products and methods with lots of horses for several years now and I love teaching others how to use them. I started learning about holistic products and modalities in 1988 because my son was not doing well with any kind of milk and he was in the doctors office every other month. Read more about my son’s story. My journey at first took me down the path of learning about holistic care for people which I was determined to learn after seeing my mom being used as a guinea pig by the doctors. My mother was diagnosed with cancer and the doctors convinced her to try experimental drugs. Unfortunately my mom passed away and this made me more determined to learn how to use holistic products and methods. As the years went on my love and passion leaned more towards learning how to use these holistic products for my horses and dogs and a lot of what I learned applied to them. Holistic care involves using a lot of different modalities. The primary modalities I use are Vitamins/Minerals, Herbs, Flower Essences, Essential Oils, Homeopathy, Advanced Photonic Therapy, Equine Iridology, and Nutritional Reflexology. My horse’s and others have responded very well to all of these modalities. When you give the body what it needs healing can take place, no masking the symptoms with medications. If I have to use conventional allopathic medication I always make sure I give the horse Dynamite’s DynaPro so that the gut builds beneficial bacteria. When you give medications it kills of the friendly bacteria in the gut and it weakens the immune system. You want to make sure you keep the gut healthy because a strong immune system starts in the gut. I’m very passionate about using holistic products and methods and I hope you too will consider giving them a try after reading this blog post. If you decide to give them a try get with someone like me or a holistic veterinarian that has studied and applied this information for years with success. Holistic products and methods are very powerful that can and will make a difference! When you go the direction of using Holistic care there will be those that tell you they don’t work and you’re silly for using them, don’t listen because they do work. I guess the biggest thing for me is how the majority of people are dependent on conventional allopathic medicine for them and their horses and that it’s the only way that works. It’s definitely not the only way! 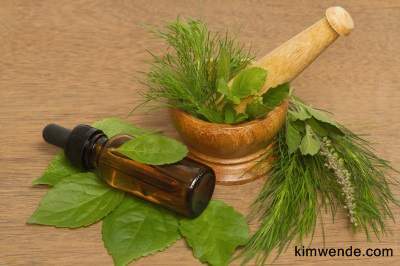 Holistic products and methods seek to get to the root cause of the problem. Just like with my son the doctor did not look into getting at the root of the problem they wanted to do surgery, but thank goodness I found an herbalist who told me about some wonderful herbs and it made a huge difference for my son. Don’t just take my word do your own research and then do what feels right for you and your horse. Sometimes, you have to find your own answers, like I did. Thank goodness there are some doctors and veterinarians who are shifting towards holistic care. I believe that a lot of our horse’s problems are from the food we feed them, the water and not getting the exercise they need. People want a quick fix to their problems and their horse’s problems. Quick fixes are like a band-aid it just masks the problem instead of getting to the root cause. To find a Holistic Veterinarian in your area go to the American Holistic Veterinarian Medical Association website.